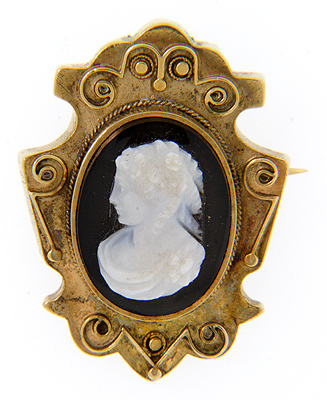 This antique 14K rose gold Victorian black and white hard stone cameo pin/pendant is circa 1880's. 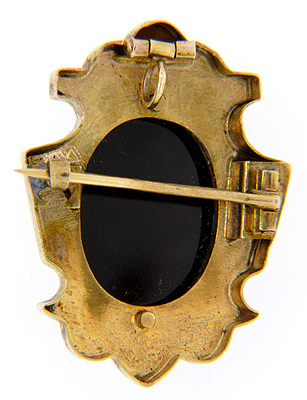 Measures 1.4" high by 1" wide. Excellent detail in carving!